What’s better than a week dedicated to delicious food? Nothing! Long Island Restaurant Week is almost here and some of the best restaurants on the island are participating. 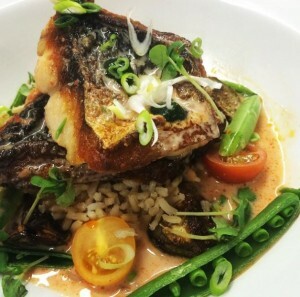 Restaurant Week is all over the country, but from April 26 to May 3, 2015, it’s all about Long Island. It is a bi-annual event taking place in the spring and fall and this spring’s week is supposed to be great! Participating restaurants offer three course prix fixe dinners for just $27.95 per person from Sunday to Sunday. On Saturday, May 2, restaurants may only offer the prix fixe menu until 7 pm. No matter where you are, you can find Long Island Restaurant Week restaurants in Nassau and Suffolk County all the way out to the East End. 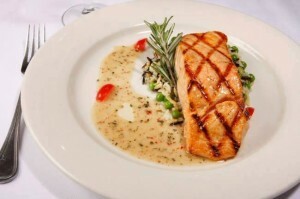 All Island Transportation is more than excited to check out the restaurants in Nassau County! Here are a few of the restaurants participating in the week-long event! Brasserie Americana is adjoined to the Inn at Great Neck, which specializes in a combination of French and American cuisine. No matter the occasion, Brasserie Americana provides the perfect ambiance. Have dinner in the main dining room, catch up with friends in the cocktail lounge or enjoy local craft beer and wine at the bar. Restaurant week will be even more delicious with their classic entrees, like Chicken Cordon Bleu and Sesame Tuna Tataki. Since 1989 George Martin the Original has been serving delicious American bistro from chops, steaks, seafood and specialties. Their participation in restaurant week has our mouth buds watering! The presentation of the plates is an art in itself and each entrée is made with the freshest ingredients. Awake your taste buds with their amazing prix fixe dinner options that’s sure to make this a restaurant week like no other! La Marmite of Williston Park is the perfect restaurant to enjoy a flavorful meal in a charming Victorian mansion. Come by for restaurant week on a Friday or Saturday and dine over the melodic sounds of live bands. For over 40 years, La Marmite has served delicious seasonal entrees with a modern French touch. It’s an elegant experience for a date night! Find classic Italian dishes with a modern flair at Spuntino Wine Bar & Italian Tapas. 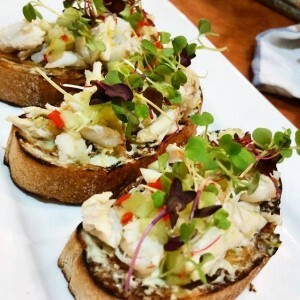 The lively atmosphere is perfect to enjoy with friends over great wine and bruschetta. Spuntino encourages adventure and friendship, so stop by during Long Island Restaurant Week! Their prix fixe menu includes a salad, appetizer, bruschetta, an entrée and dessert. There’s plenty of food to go around! There’s plenty more restaurants all over the island! Let us know which ones you want to visit on our Facebook page. Stay hungry during this year’s restaurant week! With great food comes great drinks! Feel free to call us or make a reservation online, and we can pick you up.